Born in India and educated in Scotland, Tessa Ransford founded the Scottish Poetry Library in 1984. Now aged 73, she lives on her own in Edinburgh and still writes poetry every day. I have rheumatism, so when I get up in the morning, I first do around 20 minutes of exercise. At the same time, I'm listening to radio programmes like “Start the Week”, or “Woman's Hour”, depending on what time I get up. I have porridge for breakfast, but that's partly because of a thyroid cancer operation I had last autumn - I couldn't swallow hard things like cereals, so now I have porridge. I sometimes eat bread and marmalade, but I always end up throwing away the rest of the bread, because it is very hard to get through a whole loaf if you live on your own. It's not fair, the supermarkets say “Two for the price of one”, but you don't want two if you live alone. After breakfast I buy the paper and go for a walk. I love listening to the birds while walking though the park. I do any shopping I need, come back, have a coffee, and then I write until lunchtime. I'm writing every day. 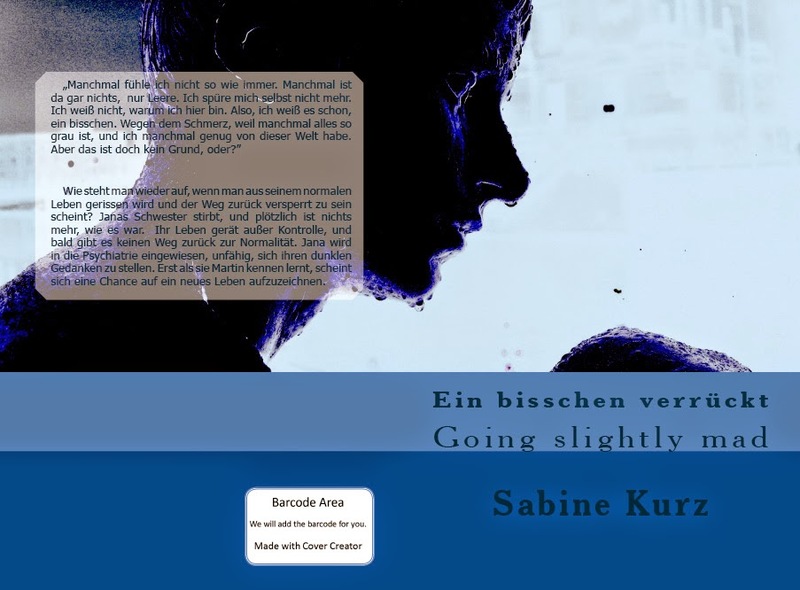 At the moment I am working on a review of a book in which Scottish poetry was translated into German. But I don't get paid for this work. I don't make a single sou, in fact I lose money by being a poet. In the eighties, I had my first two or three books of poetry published, and although they'd been reviewed, I didn't have anyone to talk to. I was a housewife, I didn't have anyone to get feedback from. In those days, even if you had poetry published, you didn't mention it to anyone. It was very isolated. So in 1981, I started a workshop for people writing poetry, called the “School of Poets”. There were twelve of us. It was a workshop for people who were already writing, not for people who thought they might like to write. I called it “practicing poets”. People rather jeered at that, saying that any genuine poet wouldn't need any teaching. It was incredible what some said. But my reply was: “You don't know what you need to know until you need to know it”. You're always learning and experimenting. You're absorbing new ideas. So the interaction with other poets is vital. After that, through meeting those other poets and realizing the emptiness of the literature scene for poets, I founded the Scottish Poetry Library in 1984, and we got some funding and got the project started. I felt, no one else is going to give up everything for this, so I did. Lots of people contributed wonderfully, but me, I gave up everything. Everything, that's what it took. I don't regret doing it. There's no point regretting things. I ran the library for 18 years, until it moved to the building it's now in, and then I retired. My work wasn't for nothing, it succeeded, the Poetry Library has got a huge amount of money now and it's doing really well. I got an OBE for the work I did with the Poetry Library. It was very exciting. I felt that it was important to accept it because of all the work other people had done to make it possible, it wasn't just for me. It was in Holyrood Palace, and Sean Connery was getting a knighthood the same day. I was in the same building with the Queen and Sean Connery, and the captain of the Scottish Rugby team. You can almost see Holyrood from my window. When I first came to this flat, I wrote poems looking out of the window for a year. “Shadows from the Greater Hill” consisted of poems from different seasons and different times of day. Since I had the operation, I've used the view over Arthur's Seat once again for inspiration. The painter Cézanne painted this mountain Mont Sainte-Victoire over eighty times. Well, Arthur's seat is my Mont Sainte-Victoire. It's so close, you can almost touch it. After writing, there's lunch. I like rice, tea, marmite and butter. I love butter. I always put lots of butter on my bread and lots of butter in my cooking. I don't care about cholesterol. I think that's because we were short of everything when I was a child during wartime. I try to have salad and fruit often. I used to have chapattis for lunch, but now I have pancakes. After lunch I check my e-mails, and usually work until 5.30, if I don't have the grandchildren here after school. I have eight grandchildren, six boys, two girls. The eldest is 25, she's a professional dancer and singer, the youngest is seven. They are all amazing. My father was a Royal Engineer. After the First World War, he was posted to India. That was what happened in those days, it was quite normal to go to India, and he stayed there for 25 years. I think it was a big culture shock for me coming to Scotland having been born in India, but I was only a child. What made me realize that it must have been pretty traumatic was when I came back again, having spent eight years in Pakistan, when I was 30, and then I felt the culture shock consciously - that, what I must have experienced unconsciously as a ten-year old. I was married to a church of Scotland missionary, and went with him to Pakistan. I learned Urdu and Punjabi by using index cards. 300 sentences written on little cards with a bamboo quill. In one of my books that comes out this year, there's this poem called “Don't mention this to anyone”, which uses some of the Urdu model sentences we had to learn. After writing all afternoon I look at the news and have supper. I don't eat much meat. If the children are coming, I might get some to make a stew, but not for myself. I make things like macaroni cheese, risotto or fish pies - simple food. I used to cook for four children, so it had to be simple. A person I would love to invite to dinner is Lynne Truss. She wrote this amazing book about Tennyson, “Tennyson's Gift”. I read it in hospital and it kept me alive. She's incredibly witty and funny. We'd have lots of laughs. So I would have her and Maggie Smith. She's got that bitter edge, and I like people like that. I don't like people who are too goody-goody. If I'm not going out in the evening, I read and watch the telly and do my knitting. I decided to take up knitting again when I had the thyroid operation, because I had to rest, and with not being able to dash about, I thought it would be nice to do some knitting. So I knitted a big scarf. I asked my daughter, who's a midwife, what to knit next, and she said that they're always looking for little squares for the premature babies. So I'm knitting squares for premature babies now. It feels nice, I like doing it. I'm contributing to the future.